Crocheting in the BL (back loop) is a variation on the sc (single crochet). The only difference is that you are working the stitches through the back loop of the chain, instead of through both loops of the chain. The stitch is also referred to as the rib stitch or ribbing since it is often used to make cuffs, necklines and edging on sweaters. 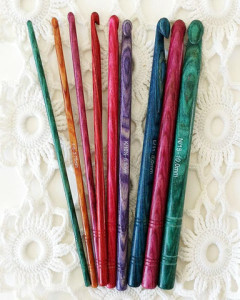 Start a BL stitch by working the first row, or foundation row, with the standard single crochet. Make a sc and turn the work at the end of the row. Start the second row with the BL by putting the hook through the backside loop of the chain, instead of both loops on the chain, and pulling the yarn through the stitch like you are making a single crochet. Complete this across the row. 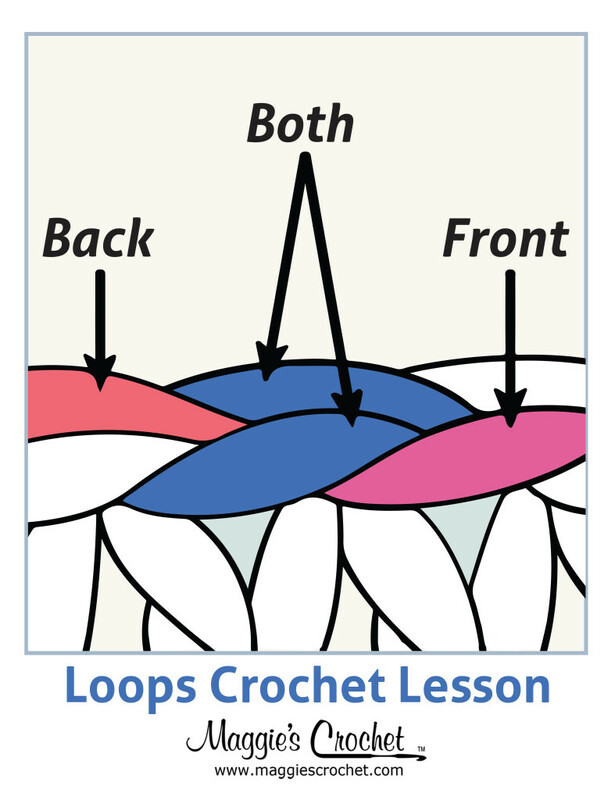 Front loop crochet (FL) is the opposite of back loop stitches and gives the crochet item a different look. Crocheting the stitches with the front loop adds a horizontal line through the rows and makes the work thinner. Work a FL stitch by completing the first row of the work as a standard sc row. Ch 1 and turn the work for the second row. 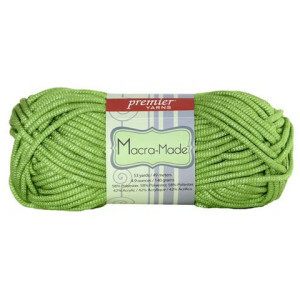 Put the hook through the front loop, instead of working the stitch through both loops. 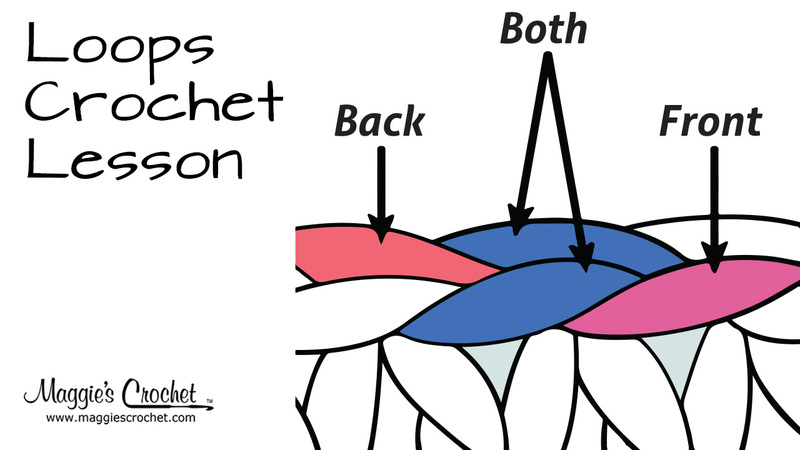 Pull the stitches through in the same way you would complete a sc stitch. Finish the FL row in this manner. 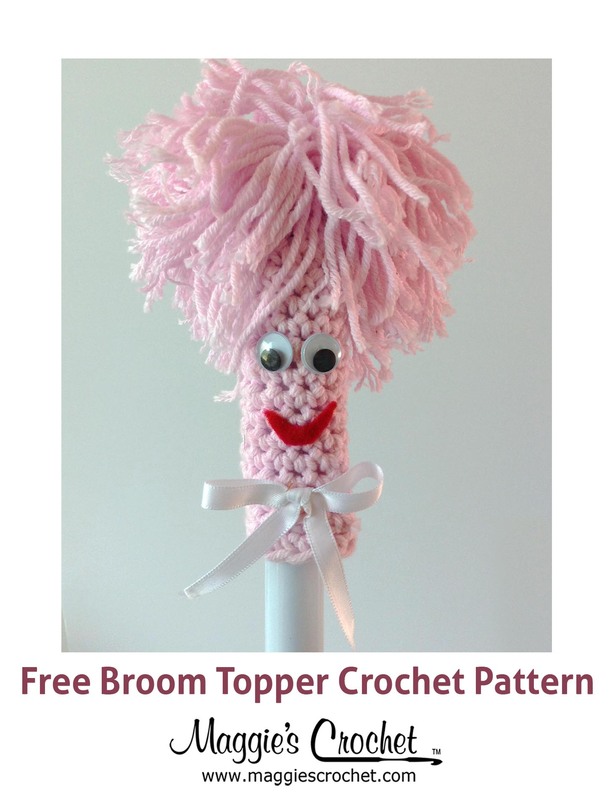 Repeat each row using only the front loops until the project reaches a desired size. 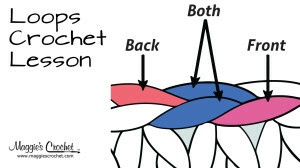 One of the first places you may encounter a crochet through the front or back loop stitch is in making a dishcloth. Dishcloths are a great way for crocheters to learn new stitches and skills. They are quick projects to do and are always fun to finish. 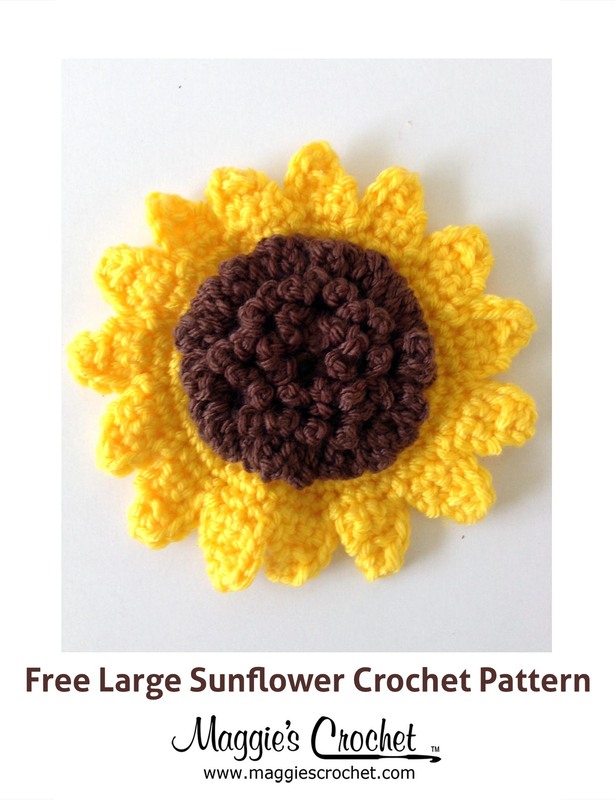 You will also love decorating your kitchen with your new crocheted dishcloth masterpieces. 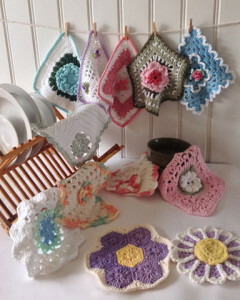 The Floral Dishcloth Crochet Pattern Set consists of 12 individual dishcloth patterns.